Ideal for occupational or recreational wrist injuries such as CTS, RSI, post-cast or post-surgery rehabilitation and other thumb or wrist strains. High-quality Support Strap to restrict thumb and wrist movement and facilitate the recovery of injured joint and muscle tissue. 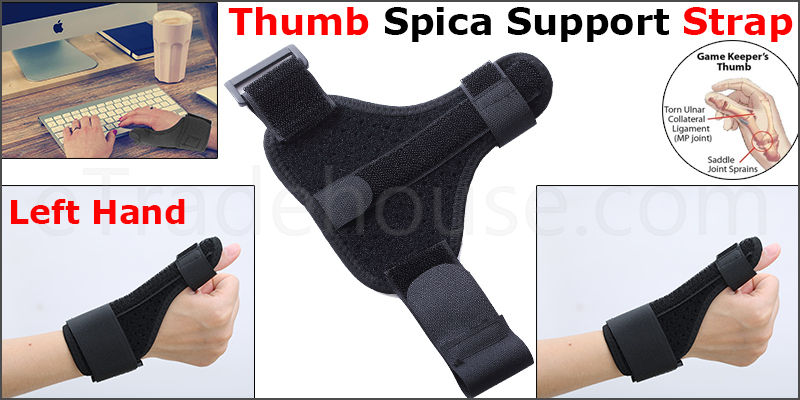 The combination of high-quality materials and adjustable straps make this thumb wrist support extremely comfortable and will ease and relieve stress and pain.